The final decision on which package is best for you is only made after the initial consultation, so please don’t worry, if you are not 100% sure which is best for you, we will make this decision together at the close of the Initial Consultation. This is undertaken by all new clients. Go over your medical history, your goals, symptoms, prior lab testing, and nutrition status. 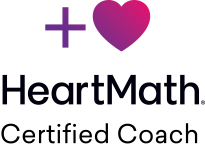 We engage in a conversation to find out more about you, your health, and family history to build your in-depth health profile. 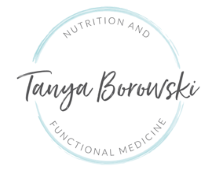 I will prescribe and talk you through the most suitable Functional Food Plan for your case and possibly recommend a baseline Supplement Prescription. By the close of your Initial Consultation I will provide a written plan including the order in which issues are addressed, recommended lab tests, and prioritize lifestyle changes. Although not compulsory but recommended, a key component of this consultation is the analysis of a comprehensive blood chemistry panel. A comprehensive blood chemistry panel is the single most efficient and effective tool for evaluating your health, it screens for a wide range of conditions including several types of anemia, indications of gut, viral and bacterial infections, insulin resistance and hypoglycemia, liver and kidney issues, and thyroid and adrenal function. Having all these markers run collectively rather than disparately allows me to move forward with your case and identify underlying foundational mechanisms and thus tailor your plan accordingly in the most efficient and effective manner. The list of required tests can be downloaded below. Please note that these tests must be recent tests (no older than 6 weeks old). If you do not currently have them then I can assist you in obtaining them as I have negotiated a very competitive rate with a laboratory for my clients. Built into this package are 2 additional hours of my professional time - researching and working on your case away from the clinic setting . This allows me to really deep dive into your health history and triggers, your diagnosis or condition and the most recent medical literature and intervention options as it applies to your individual presentation. Nutritional supplements and testing are both additional to the package costs. Click here for a full menu of Functional Laboratory Testing that I use in my clinic. To note: The final decision on which package is best for you is only made after the initial consultation, so please don’t worry, if you are not 100% sure which is best for you, we will make this decision together. The premier of my service, this package is designed for anyone suffering with any chronic health issues, where more mainstream medicine appears to fall short and the desire to get to the root cause and returning to optimal health. This is especially designed for clients that feel the need for more contact and support from me. Time frame is generally 6 months. Built into this package are 3 additional hours of my professional time - researching and working on your case away from the clinic setting. This allows me to really deep dive into your health history and triggers, your diagnosis or condition and the most recent medical literature and intervention options as it applies to your individual presentation and biochemistry. Nutritional supplements and testing are both additional to the package cost. These are for clients who have completed their Foundation or Complete Package and require further support, but no longer require the intensive research and communication. Or on occasion following an Initial Consultation if I feel you do not require any of my professional time spent on your case outside of consultation time I suggest simply booking in for Follow-Up appointments. This is not designed as a shortcut, if your case is more complex and you need regular support from me this option is not a suitable fit. .
* The hourly rate is calculated to include professional time taken on reporting outside of face to face clinic time. For example, you may have a 45 minute Skype Follow-Up Appointment but takes a further 15 minutes to write your new Treatment Plan, a 1-hour fee is charged. Read testimonials directly from clients who have used these packages.